You ever have someone describe something to you and you're just like... YES, I need this in my life immediately... Or is that just me? 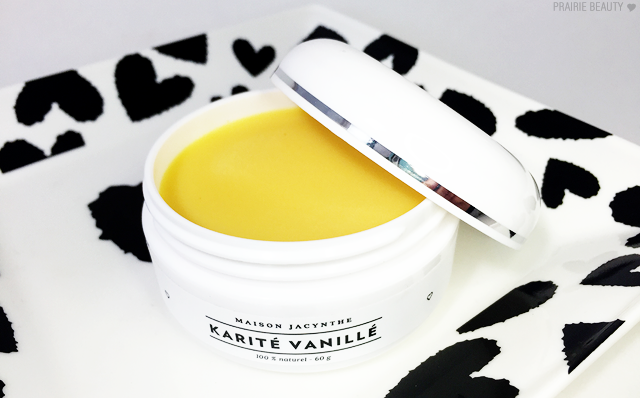 Anyway, as soon as the Maison Jacynthe Karité Vanillé* (Vanilla Shea Butter) was described to me, I got all grabby hands about it. She explained to me that I could warm it up and use it as a face mask, but I already had visions dancing in my head of using this product on the dryest parts of my body in a kind of vanilla festival of hydration... It occurs to me that when I describe the way my mind works, I sound distinctly weird, but I own it. ANYWAY. I got my hands on this product and I've been using it in a couple of different ways, so keep reading for my thoughts. First things first... This smells DIVINE. It definitely has that vanilla scent to it, giving it a sweetness, but there's a sort of herbal thing in the background that gives it a really natural, grounded scent. This is no saccharine synthetic vanilla, I promise. I'm crap at describing scents, I know, but just believe me when I say this smells lovely! So, admittedly, I have yet to try the face mask because I'm vaguely terrified of putting shea butter on my face because it can be problematic for those of us with a predisposition to clogged pores. 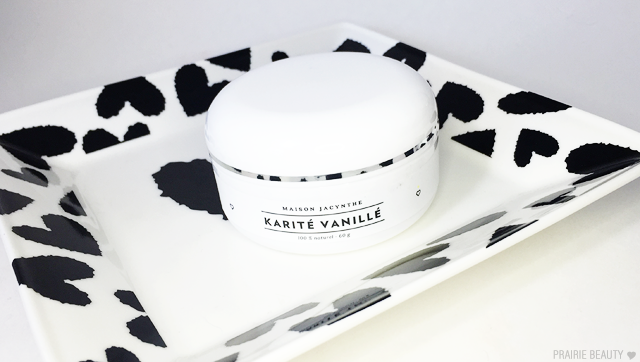 I might build up the balls for it when the weather gets cold and my skin is really dying for hydration, but until then I've found two ways that I absolutely LOVE using this product. The first is on places on my body where the skin gets really, really dry - Specifically, this is all about my heels. After this past summer, my feet were in pretty rough shape from being shoved into flip flops for a few months straight, and I knew I needed to give them some TLC. I started using a gentle pumice on my heels every time I showered, applied this product after my shower, and shoved them into a pair of socks for a couple of hours and the difference was... pretty much astounding. My feet transformed and looked better within a few applications and I was completely sold. I think this would also be great for dry knees, elbows, lips, etc. because it is just super hydrating. The second way I've been using this is actually as a massage balm. My boyfriend has been struggling with some repetitive stress pain in his hands and I absolutely love using this for a hand massage, because it really helps me work my fingers into the heel and palm of his hand, but it's also really hydrating and softening for his hands, which makes it a twofer. Same principle goes for a foot massage, whether you're getting it from someone or just rubbing your own feet after a long day in rough shoes, trust me! 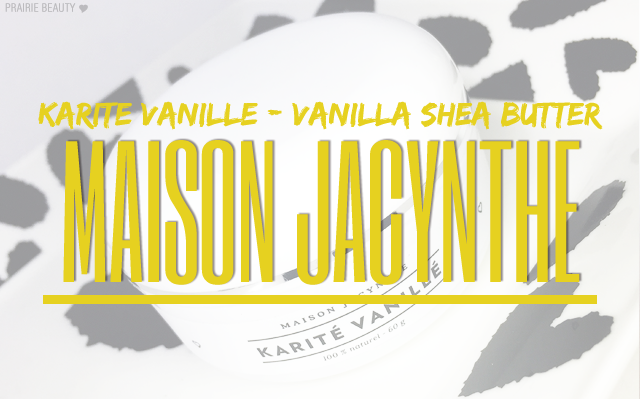 Overall, I think the Maison Jacynthe Kerité Vanillé is a beautiful product. 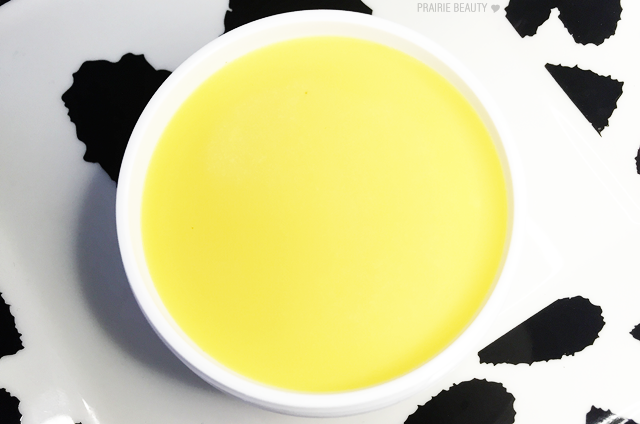 It smells absolutely gorgeous, it's really deeply hydrating, and a little bit goes a long way.